Prepare yourselves: Nintendo is planning to release not one, but two new Switch consoles very soon indeed, according to Wall Street Journal. Potentially this summer, in fact. And yes, that sound you heard was my wallet wincing. Now, this isn’t the first hint we’ve heard that new Nintendo Switch models are on the horizon: back in 2018 there were whispers of a new Nintendo Switch with a screen upgrade, which very well might be contributing to the rumours circling around right now. That’s because these two new Nintendo Switch models are thought to be centred around two types of gamer: the more casual type, and those who are “avid” gamers, as The Wall Street Journal puts it. Avid gamers might very well be salivating at the mouth at the thought of 2018’s rumoured 1080p handheld screen - and yes, of course I’m one of them. These new consoles would potentially eliminate the vibrate function as “there wouldn’t be many games released using the full potential of it”, says one official with knowledge of the new models. Others say that the screen is going to have liquid-crystal displays, and that the upcoming releases of the Animal Crossing Switch game and the core RPG Pokemon Switch game are being planned to coincide with the new Switches’ launch to boost sales. 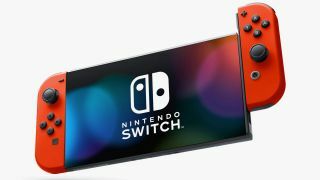 Plus Wall Street Journal reports that apparently software developers even have their hands on the new Nintendo Switches, with Nintendo giving out these prototype versions as apparently it wants to capitalise on the enthusiasm for their relatively new console before the demand dies down - or dies out. Guess we’ll just have to wait and see if anything comes of these rumours or if we’re left hanging like in 2018. Sad face. If you want to refresh yourself on why the Switch is a wondrous machine, here’s the best Switch games you can play right now, or take a look at the video below to see what we thought of Pokemon Let’s Go!